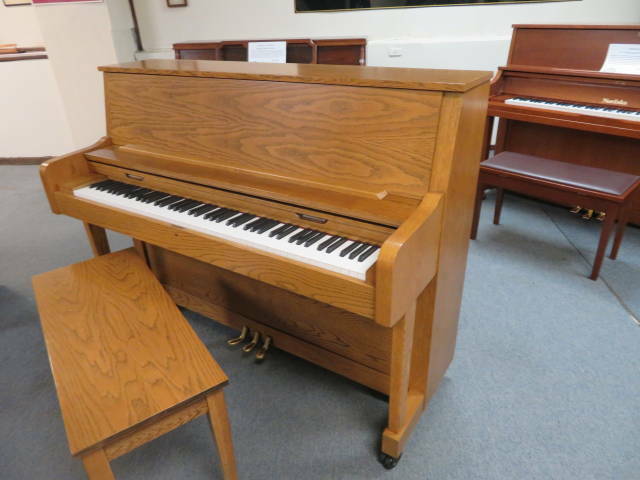 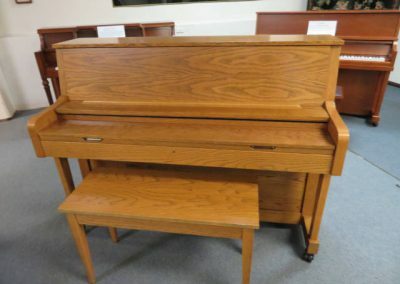 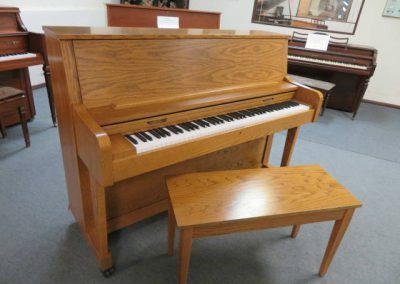 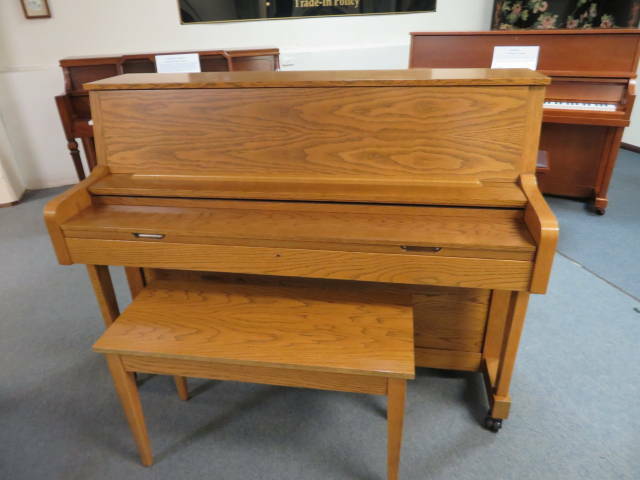 Charles R Walter 45″ upright piano with original duet bench (serial #526292), hand built in Elkhart, IN in 2000. 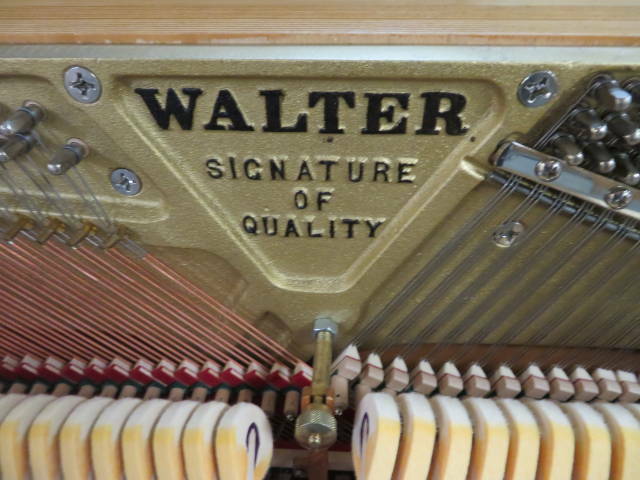 This Charles Walter was Rarely Played and came from a beautiful home in Bellbrook, OH. 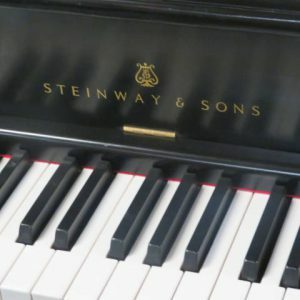 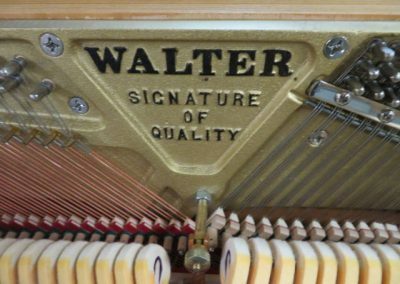 Charles Walter pianos are know as the Steinway of the 21st Century. 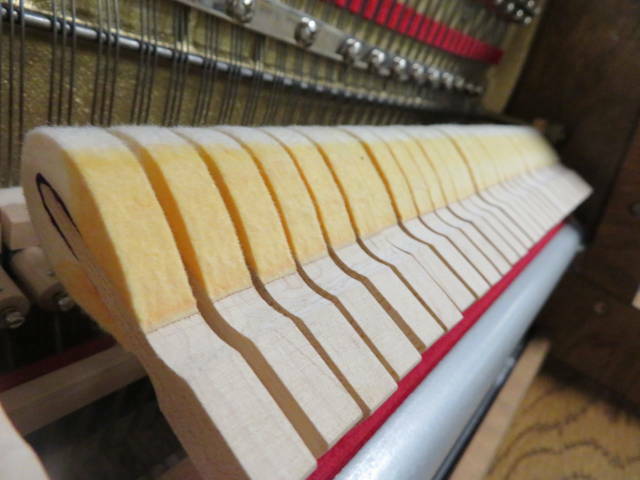 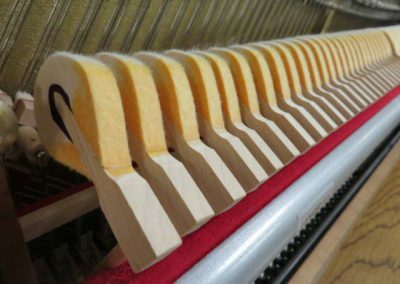 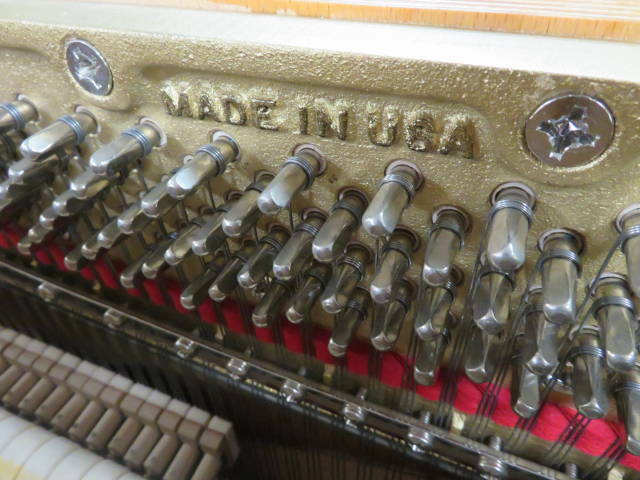 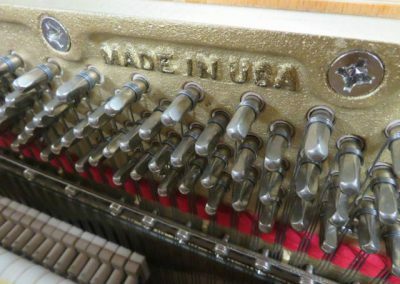 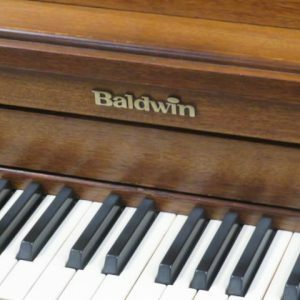 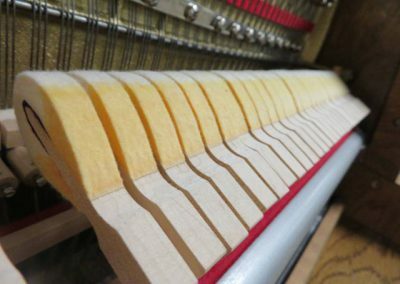 These pianos are hand built with the utmost attention to detail and maintain the supremacy of the American made pianos. 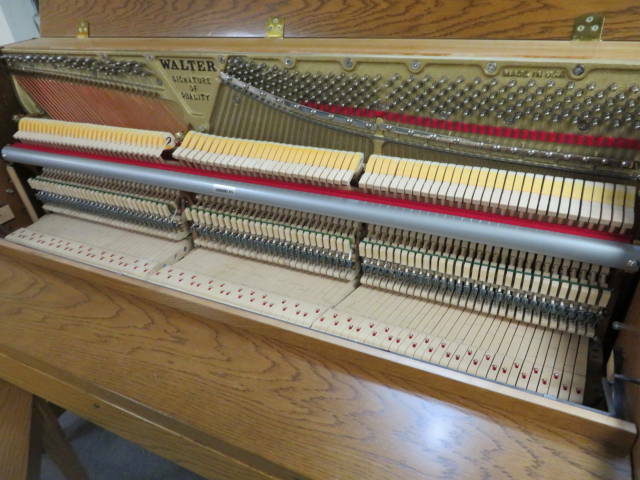 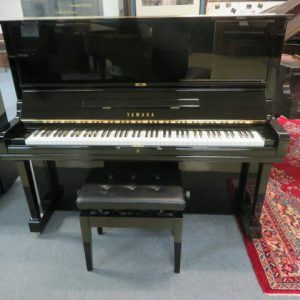 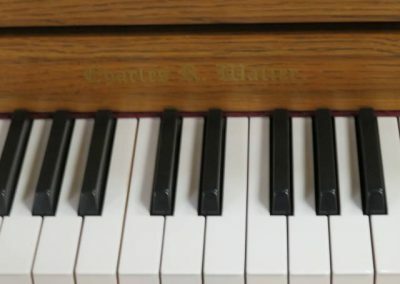 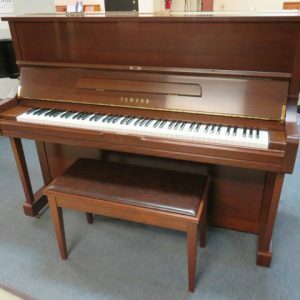 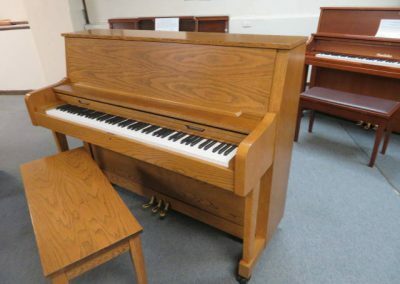 This Walter piano has been professionally concert tuned to A-440 and is in Perfect Condition inside and outside. 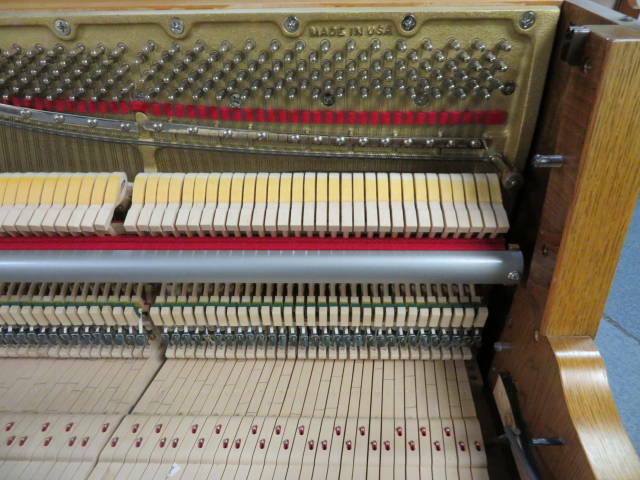 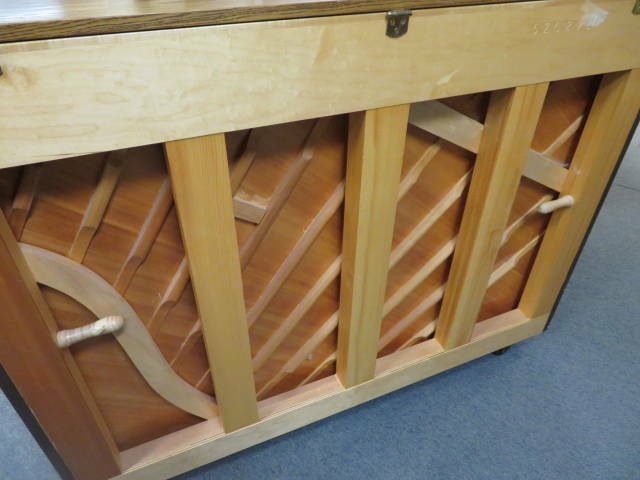 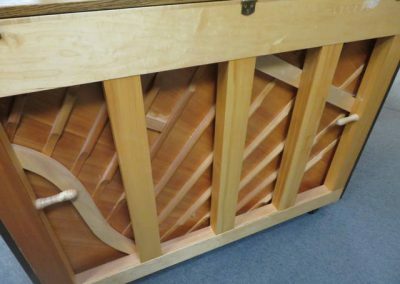 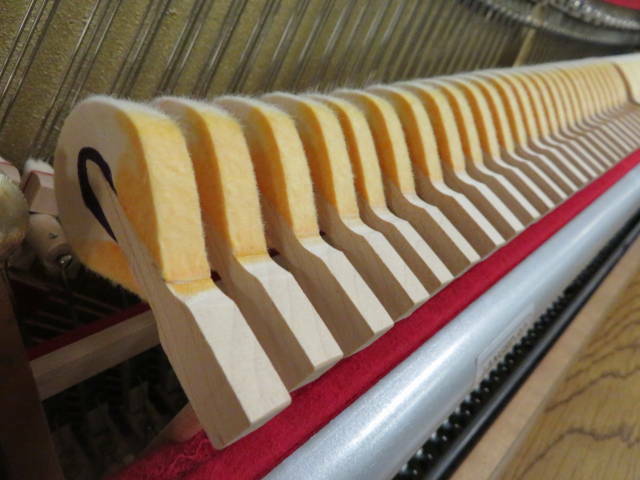 The piano has a built in lock and double wheel rubber casters so the piano can be moved very easily. 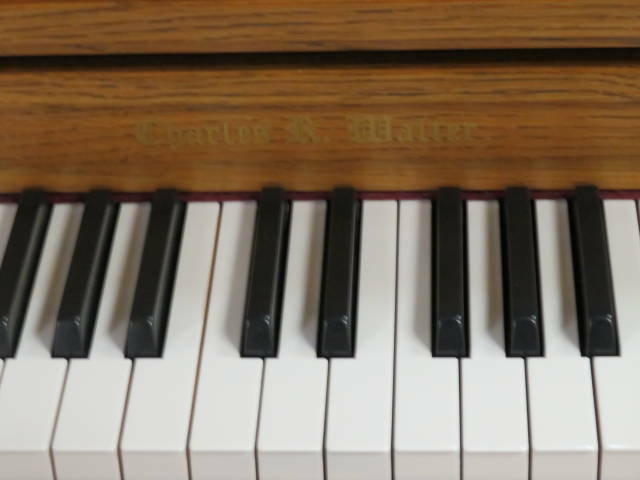 Thunderous bass tone and gorgeous melodic tenor and treble. The case is gorgeous satin American oak and is in Perfect Condition. 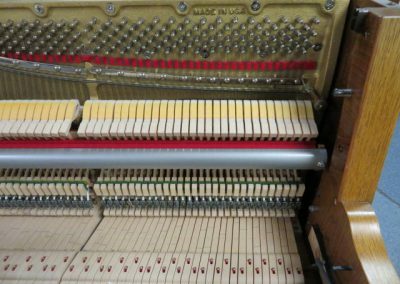 ACTION: (hammers, keys, shanks, dampers, flanges, whippens) All of the hammers and action parts are in Perfect Condition. 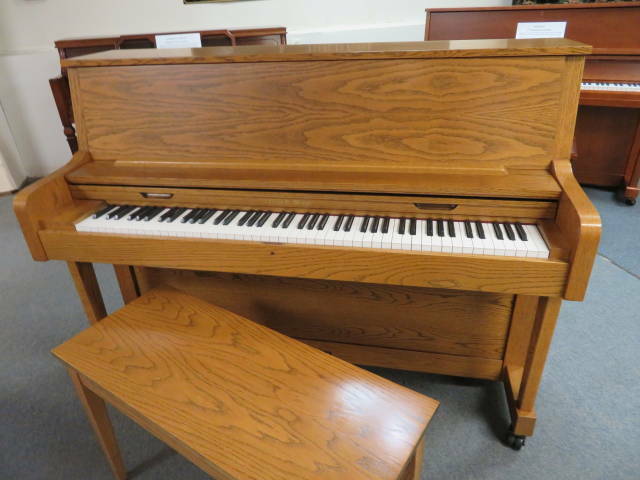 CASE: The case is gorgeous satin oak and is in Perfect Condition.